ATLANTA – November 28, 2013 – Approximately 11,000 runners and walkers earned their turkey this Thanksgiving at the 2013 Atlanta Half Marathon events on Thursday, November 28. 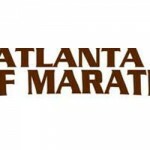 In addition to the Atlanta Half Marathon, the event featured the Thanksgiving Day 5K, the Mashed Potato Mile for children ages 7 to 12 and the Gravy Gallop for kids ages 6 and under. 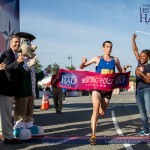 Wearing only a singlet and a pair of shorts in 20 degree temperatures, Geraint Davies was the first person to cross the finish line at the 2013 Atlanta Half Marathon with a time of 1 hour, 9 minutes, 50 seconds. Davies, a former Emory University student athlete, enjoyed a close race as the second and third place men finished within a minute of his final time. For the women, Jill Horst of Rome, Georgia came in first at 1:20:25. Horst, a long-time participant of the Atlanta Half Marathon on Thanksgiving Day, secured her victory in this year’s event as she pulled away from the competition at mile 10. 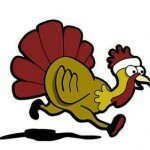 Georgians also took the top spots in the Thanksgiving Day 5K. For the men, Cory Baumann of Atlanta, Georgia, broke the tape with a time of 15:38. 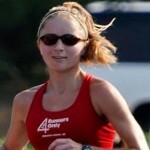 Carolyn Watson of Norcross, Georgia, was the first woman across the line with a time of 20:24. The day’s events offered the opportunity for all ages to participate. Hundreds of young runners, ages 12 and under, started their Thanksgiving Day with the Gravy Gallop and Mashed Potato Mile, also held at Turner Field.